My 60th post! I'm excited. Even if you aren't. 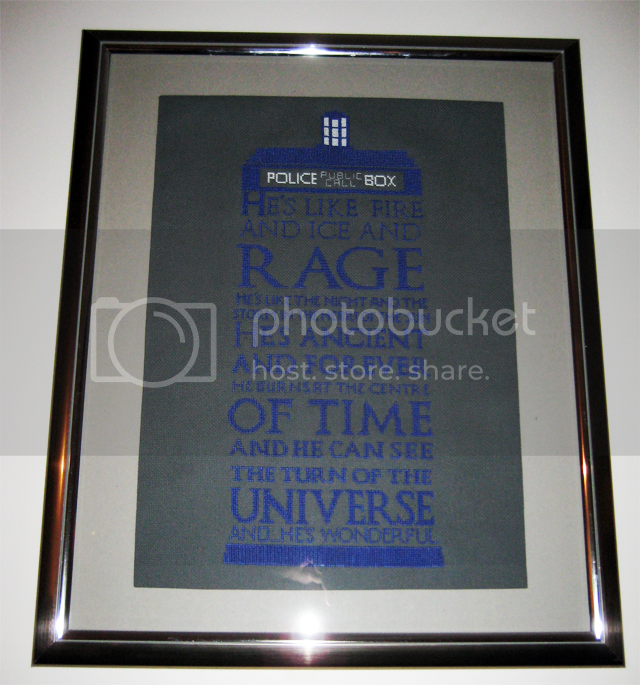 Today I bring my framed Doctor Who cross stitch from my last entry, and another bear. And a half. One and a half bears. Was a size 40x50cm frame (as far as I can remember haha) to give you some idea of the scale. Someone at the baby shower loved my first bear so much, they asked if they could buy one! 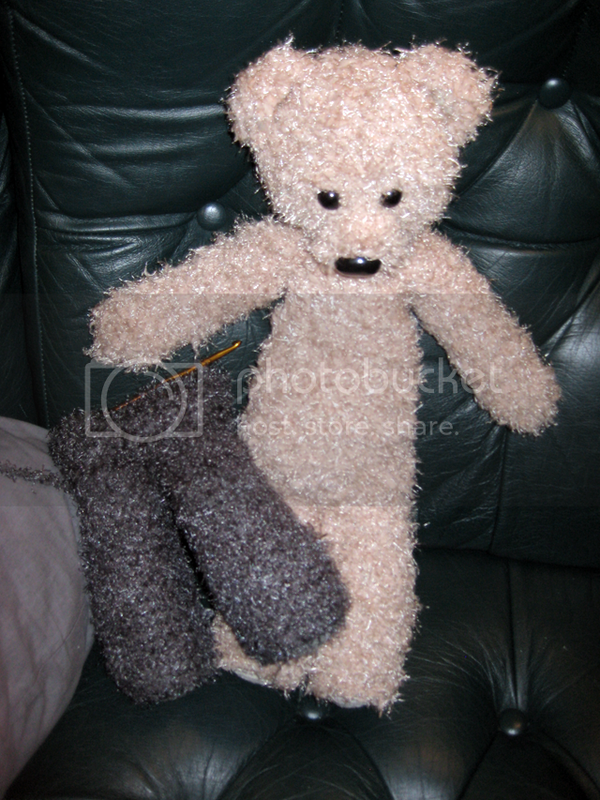 So I made her this pale one, and then found this brilliant grey wool... so started bear 4. And bought some dark brown for bear 5. Haha. From another Doctor Who fan: that's awsome! Really! I want that graphic too!! Well, good job, and congratulations! The DW stitch is totally awesome in its frame! Poor half bear. Missing his head, LOL! I love the DW stitch. DO you possibly have a pattern?